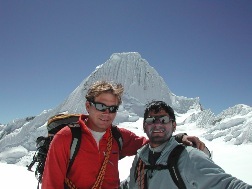 Solandino - culture, hiking and climbing in Peru and Bolivia! If you want to visit the famous ruins of Machu-Picchu via a hike on the historical Inka trail, or if you want to hike one or two weeks in the wilderness, surrounded by the clear white summits of the Andeas or if you want to feel lucky having reached a summit of more than 6000m altitude, Solandino offers the oportunity to enjoy this: professionally organized, accompanied and guided. Solandino, that´s the Angeles family. Profit of our experience we gained since 1952. 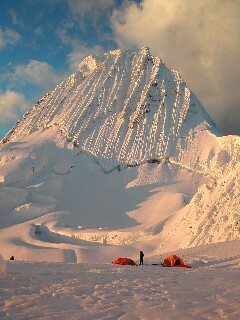 Enjoy a wonderful trip, learn about the old cultures of Peru or enjoy the nature on a hike or climb. 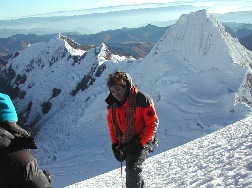 Solandino offers the service from the first international airport you arrive: Lima in Peru and La Paz in Bolivia. And we acompany you to these airports when returning, too. Just contact us, we would be pleased to give you further informations.